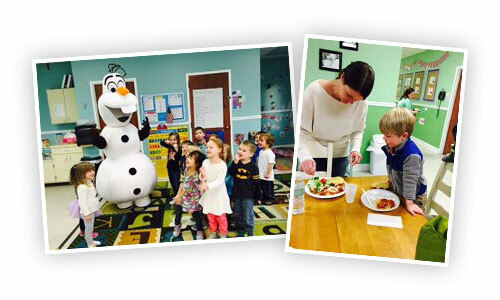 The 4th Annual Omelets with Olaf will be held at The Academy of Westhaven this January. Come enjoy food, fun activities, sing-a-longs with Anna and Elsa, winter crafts, games, prizes, karaoke, and so much more! Scroll down for event details. Come join us for fun winter themed games, crafts, prizes, snacks, sing-a-longs with Anna, Elsa & Olaf! Come check out The Academy and see why we have been voted THE BEST by Nashville/Williamson Parent Magazine readers for nine years in a row! We hope to see you there! RSVP ahead of time to be entered to win cool prizes below! Until then, keep it cool kids!